Flat roof domes are roof-lights that have been designed to make full use of natural lighting. The use of natural lighting ensures that the flat roof domes are economically friendly and that money can be saved on electricity bills. 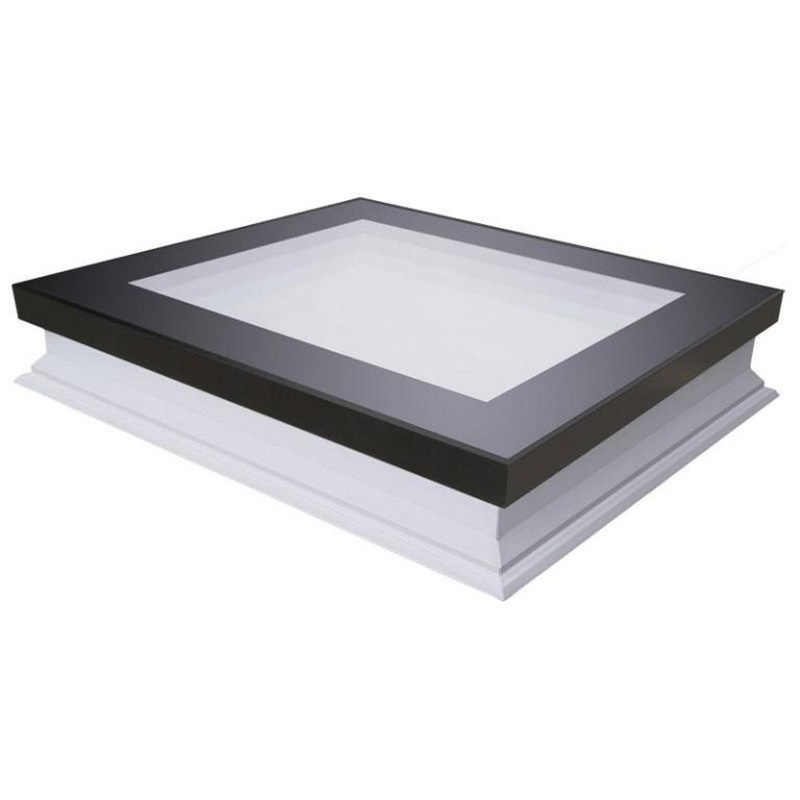 The flat roof dome skylights can either be opening or fixed and they come in various shapes and gradients. They can also be clear or opaque and provide a sleek, contemporary finish to your flat roof. These domes are of extremely high quality and are virtually unbreakable with an impact of up to 250 times greater than the strength of the glass. The domes are constructed from UV protected, co-extruded polycarbonate sheet. 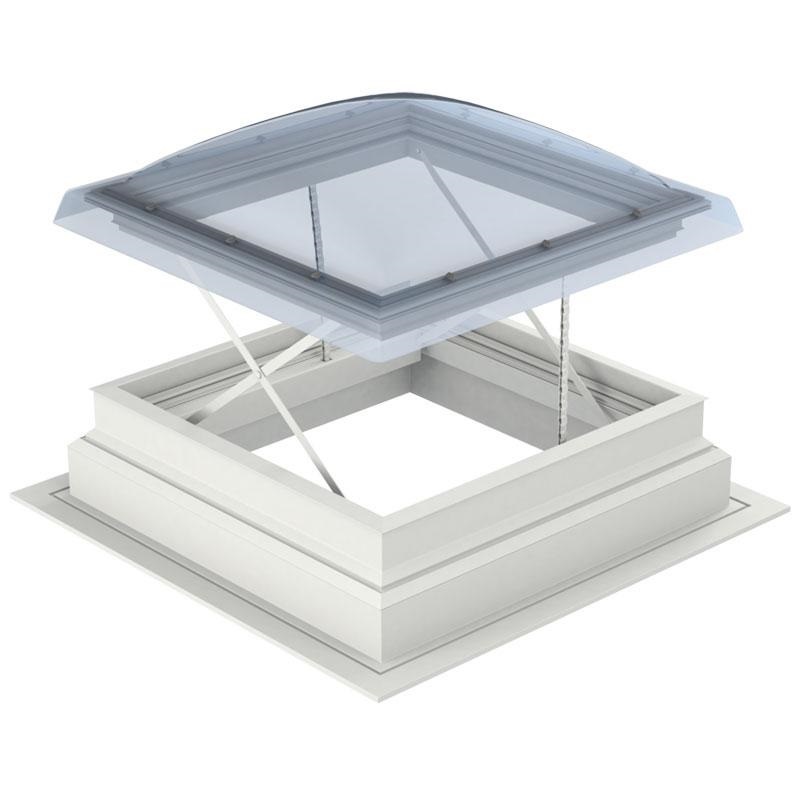 The flat roof domes are also accompanied by a 150mm tall, white uPVC upstand which is designed to achieve thermal efficiency. These domes are tested to the highest standards possible and are suitable on most flat roof systems including single ply membranes, GRP, liquid and asphalt. The fixed flat roof domes can be installed by us in a circular, rectangular or square design. These domes are designed in the same way as the fixed domes, and are of the same quality. However, these domes have the option to open so that the customer has the opportunity to get some fresh air if they require it. 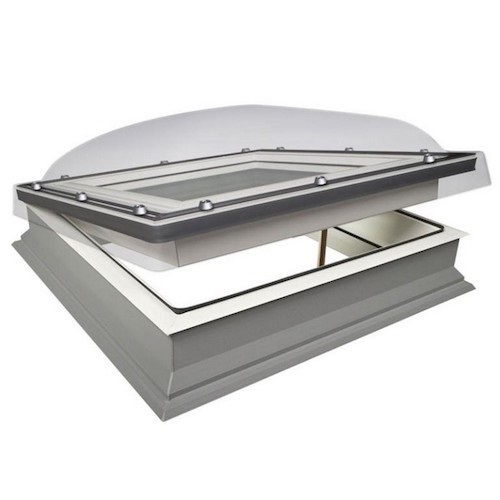 These open flat roof domes are available with a manual opening strategy which enables the dome to be opened to 30cm, or an electric opening dome where it is operated by a wall switch and can be opened anywhere up to 40cm. The open domes can be installed by us in a circular, rectangular or square design. R&D roofing carry out installation of flat roof domes. Please email or phone our office to book an appointment.